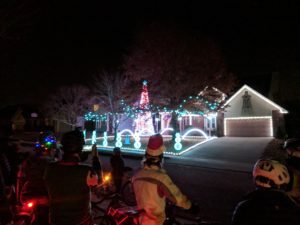 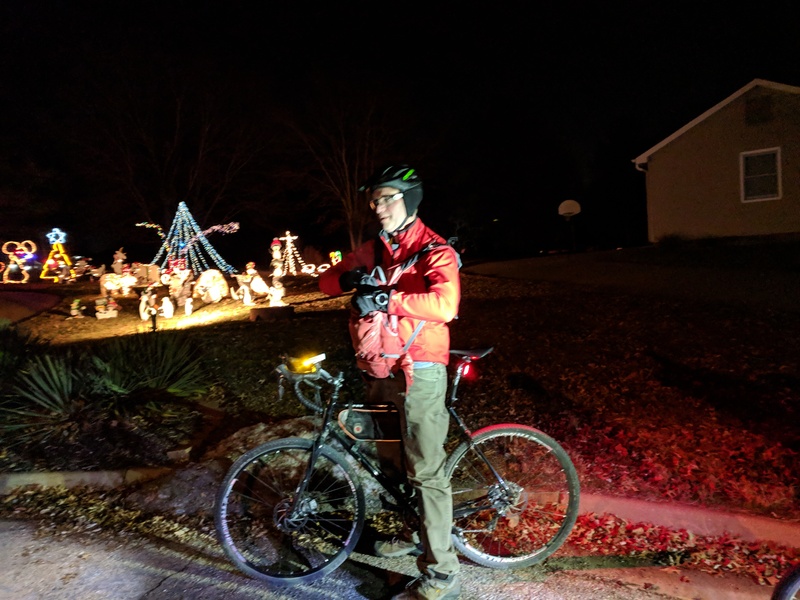 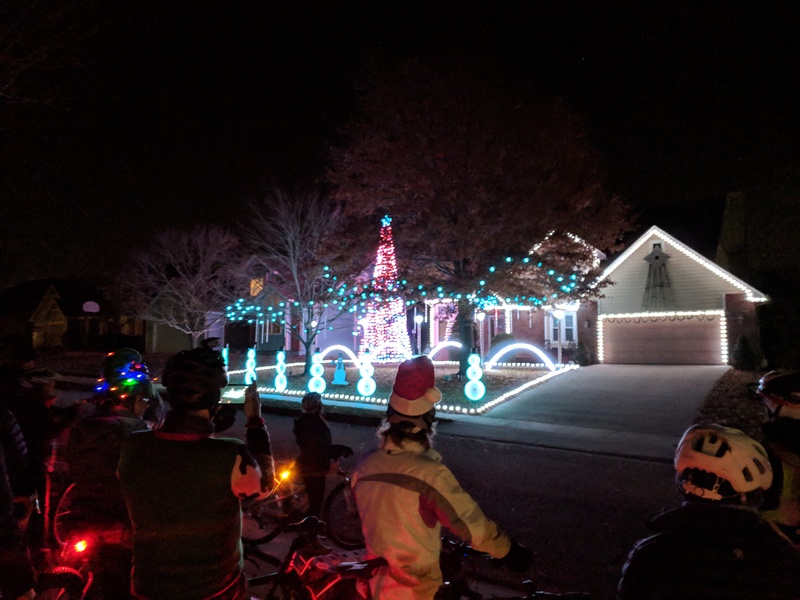 The Annual Christmas Lights ride was a huge success. 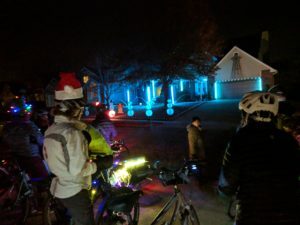 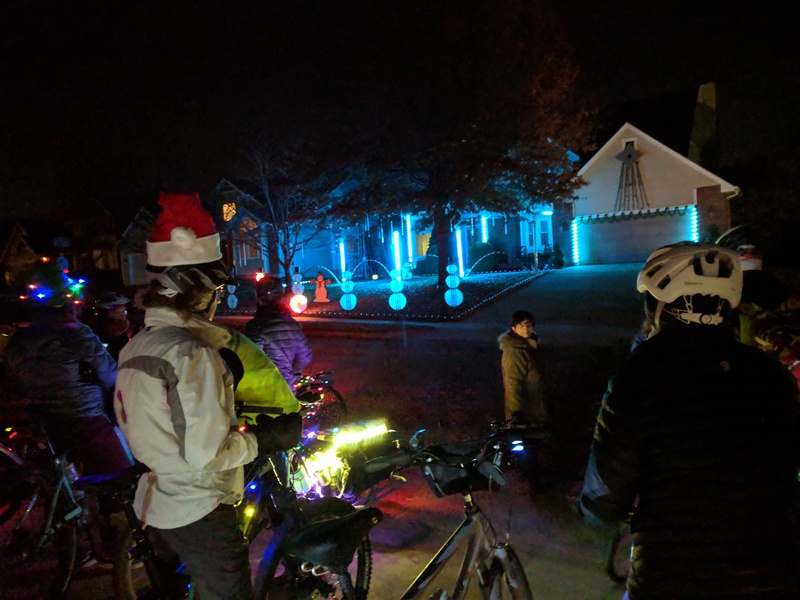 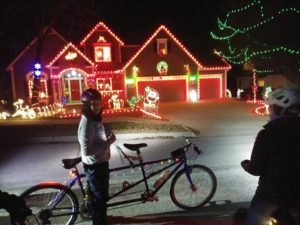 About 20 people rode around the neighborhoods in West Lawrence and had a marvelous time viewing the lights. 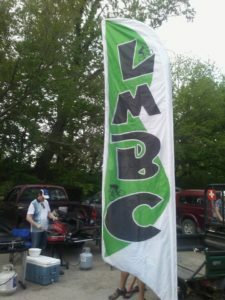 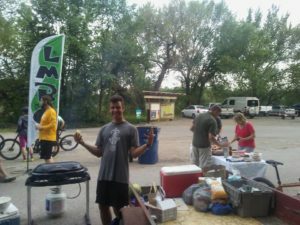 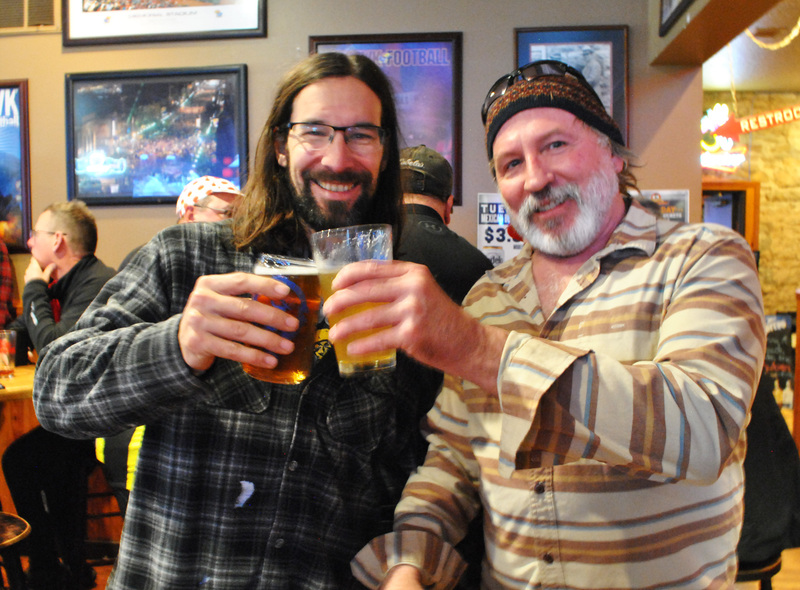 We even had a special showing at one amazing house with post ride chow at Jeffersons. 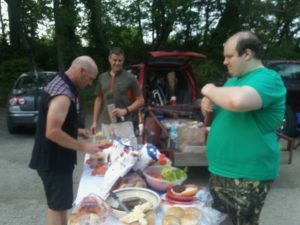 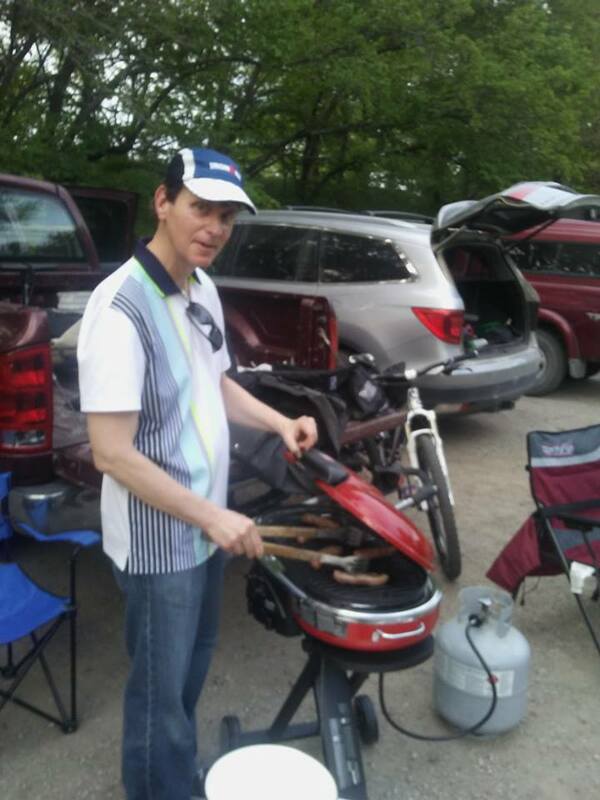 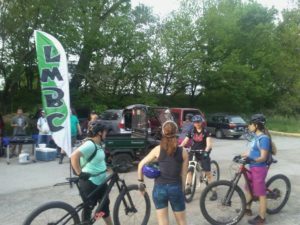 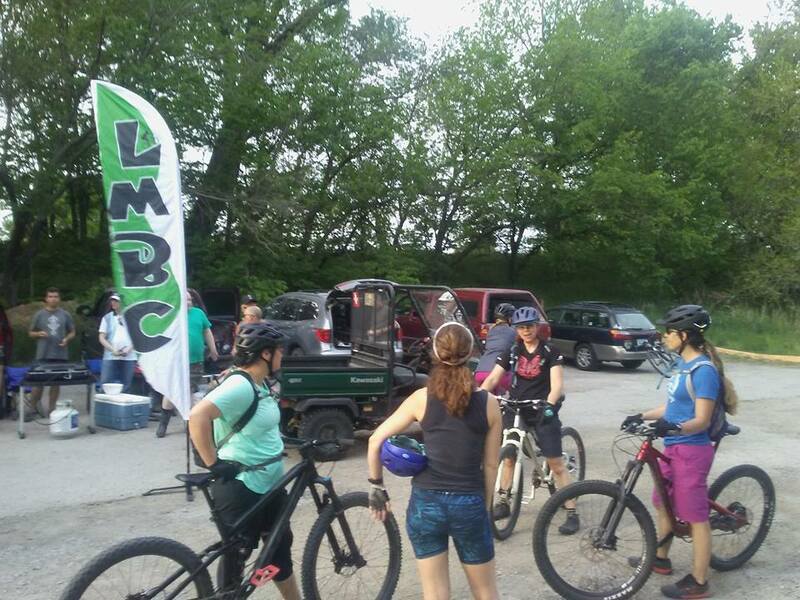 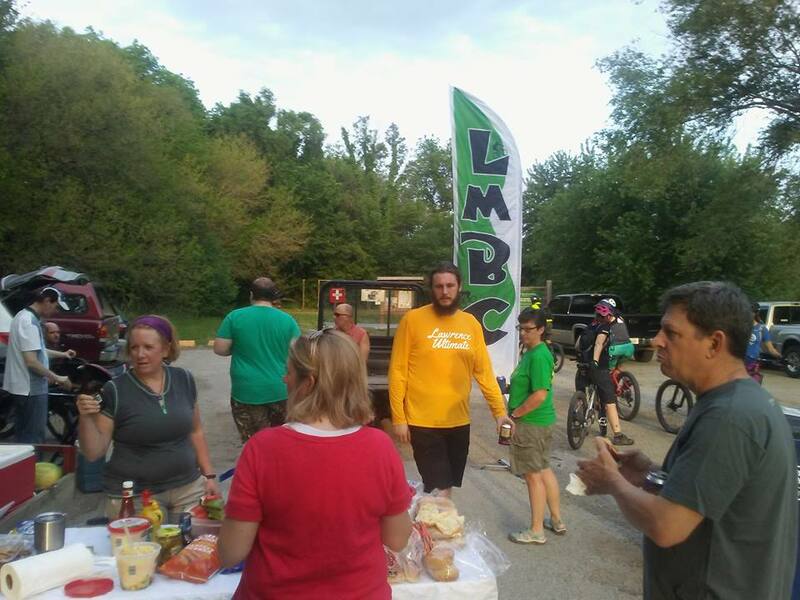 Great night enjoying food and ride. 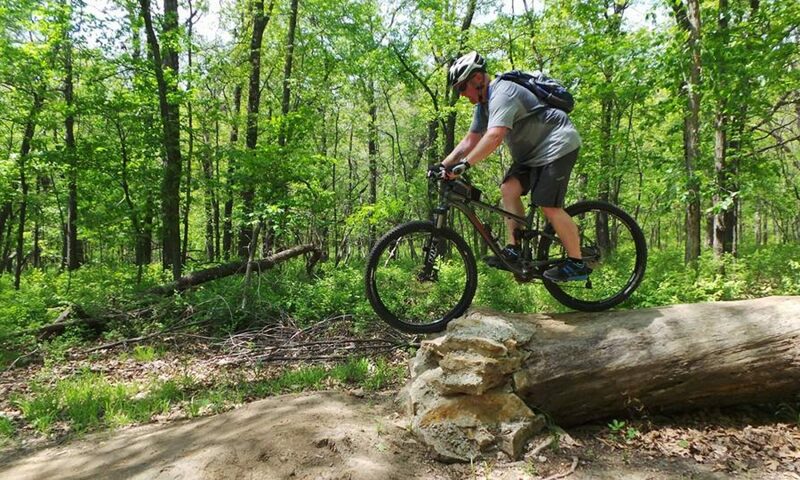 Weather and trail could not have been better! Report last retrieved Apr 18, 2019 02:00 pm from Wunderground.com.